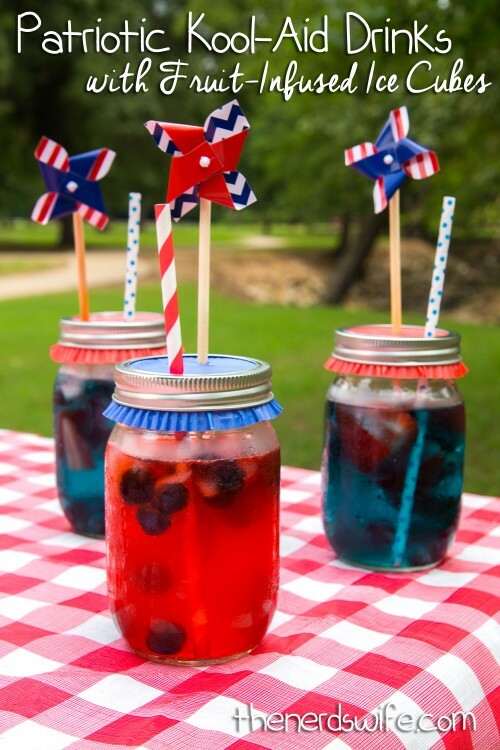 With summer in full force, we’re spending LOTS of time outside, which means lots of heat and many picnic lunches. 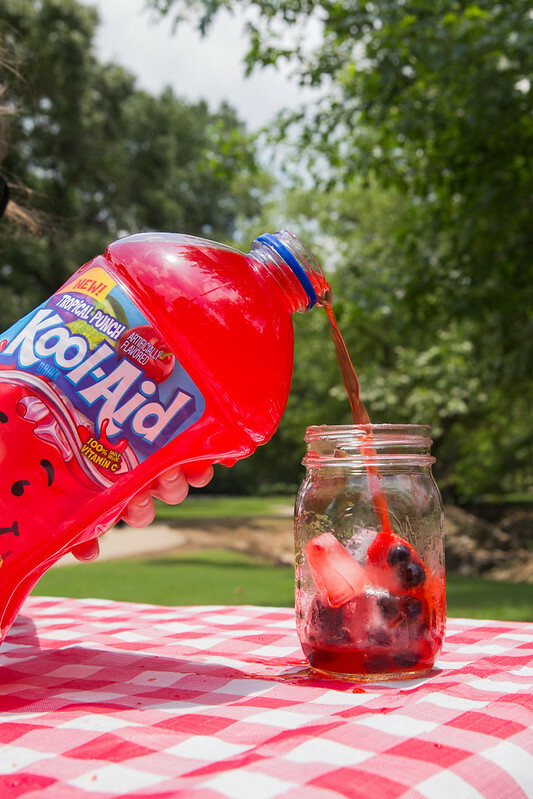 To cool off, we like to serve Kool-Aid Drinks with Fruit-Infused Ice Cubes. 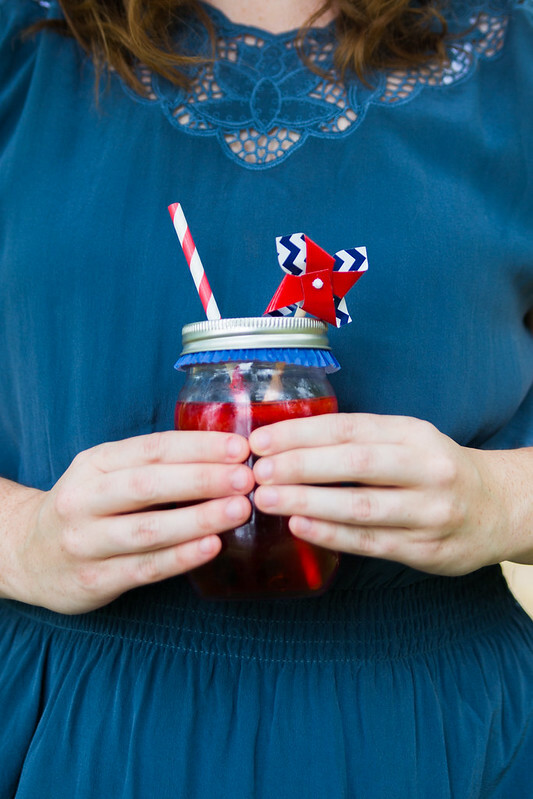 And with Independence Day right around the corner, I wanted to share some ideas for a Red, White and Blue picnic featuring these yummy fruit drinks that would be perfect for a Fourth of July celebration. 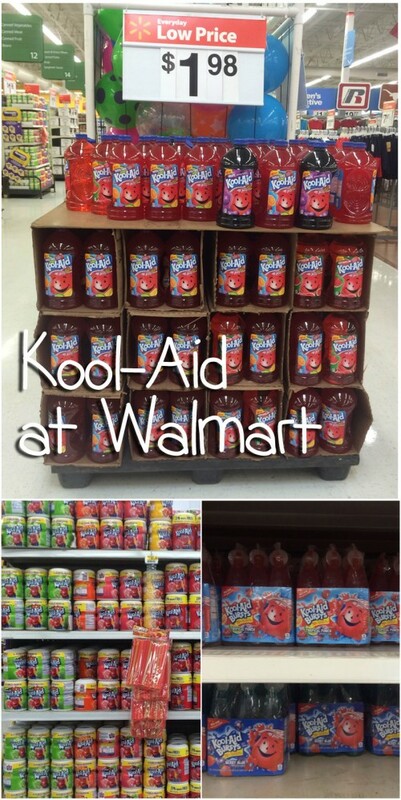 For our drinks, I purchased the all-new 96-oz ready-to-serve Kool-Aid in Tropical Punch flavor from Walmart. It was perfect to make some red drinks. I really like how big the jug is and how easy it is to serve. Just pour and you’re ready to go! I also picked up some Berry Blue Kool-Aid Bursts for blue drinks. That way, I didn’t have to mix anything. 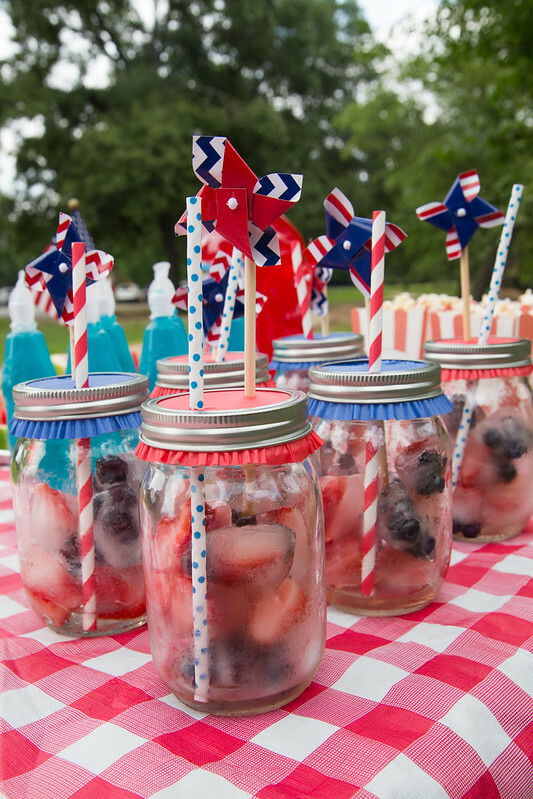 Ice is a must for any drink here in the Texas heat, so I made some Fruit-Infused Ice Cubes with strawberries and blueberries to add some patriotic flair to our drinks. 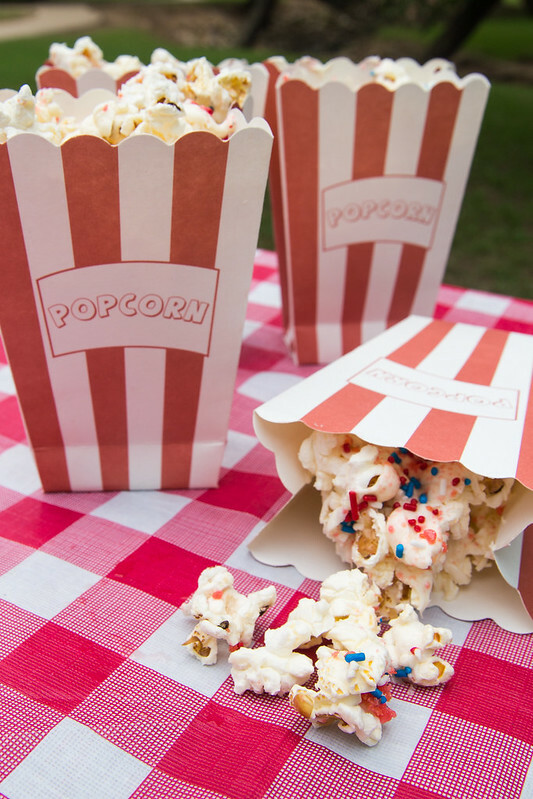 It’s such a simple touch that takes your picnic to the next level! 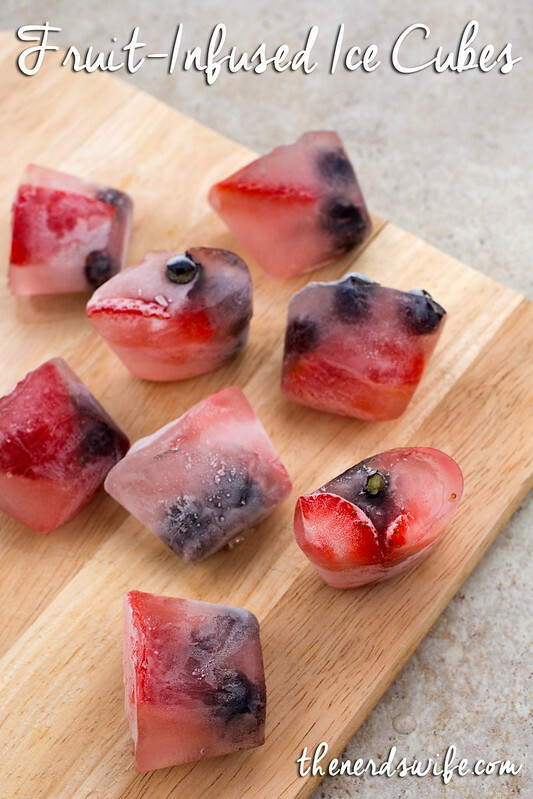 Cut up the fruit and add to the ice cube tray. Fill the tray with water. 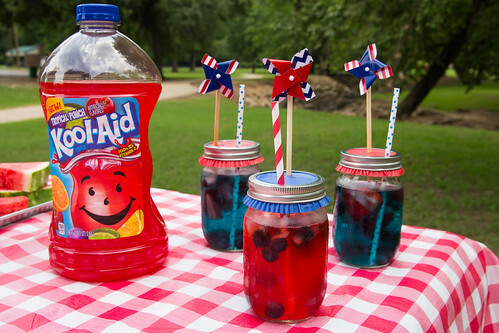 Add to glasses and pour in some Kool-Aid. 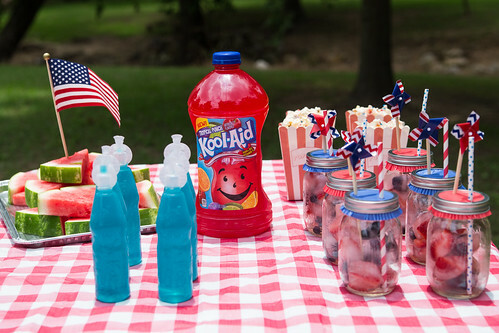 As the ice melts, the fruit will be added to the drink and will soak up all the yummy Kool-Aid flavors for an awesome treat when your drink is all gone! 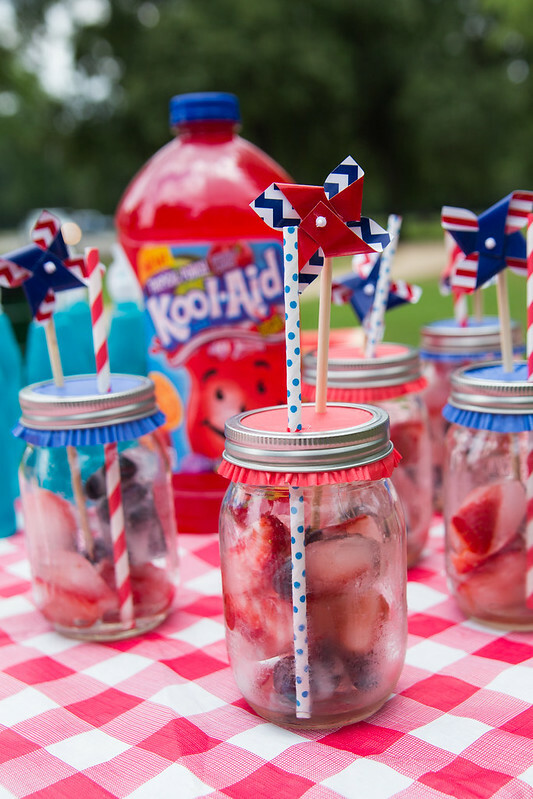 I served the Kool-Aid in mason jars with blue and red paper straws topped with cupcake liners. 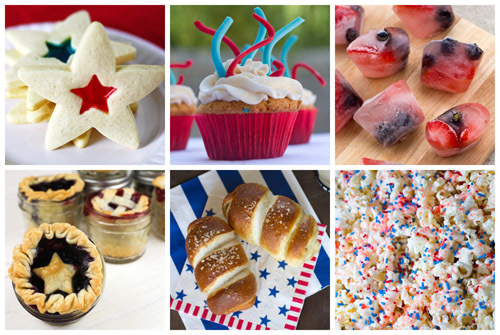 I added in some fun patriotic pinwheels for an extra-special touch. 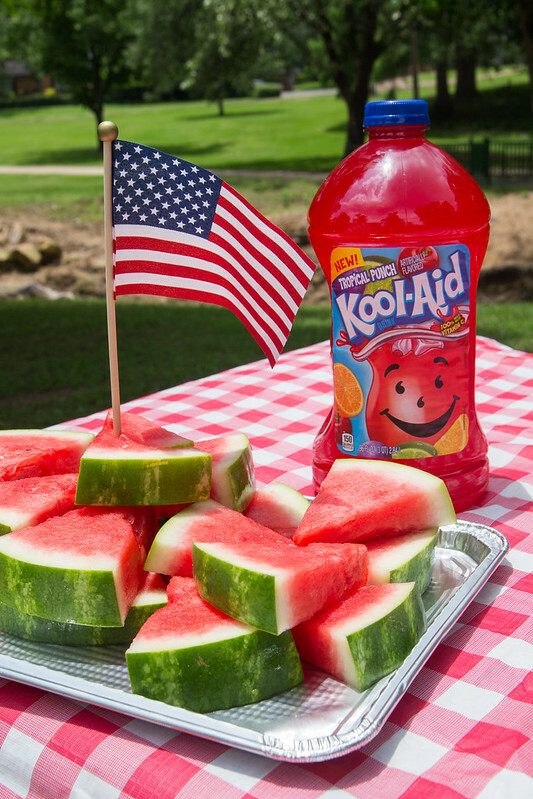 We also served watermelon wedges and boxes of Firecracker Popcorn.